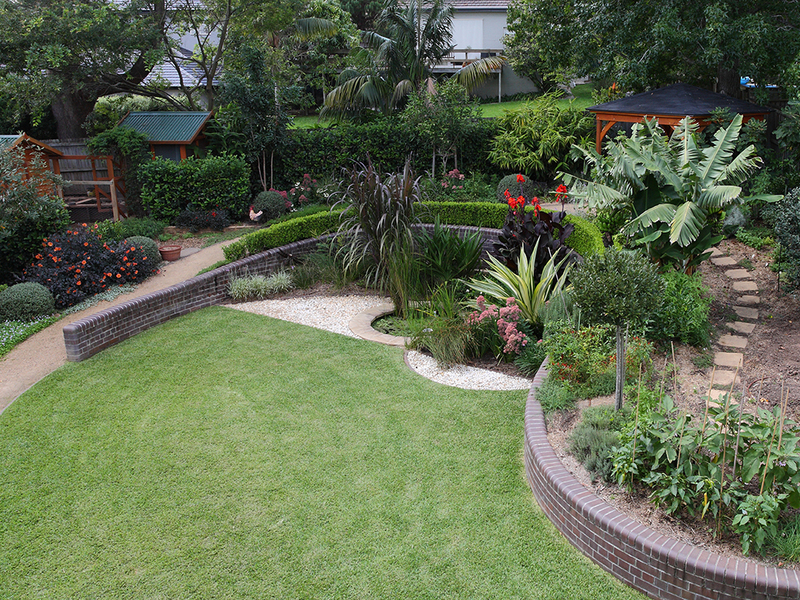 Based on the a logarithmic spiral this garden required extensive protection of existing structures through the demolition of an existing swimming pool and the construction of a sweeping spiral like face brick retaining wall. 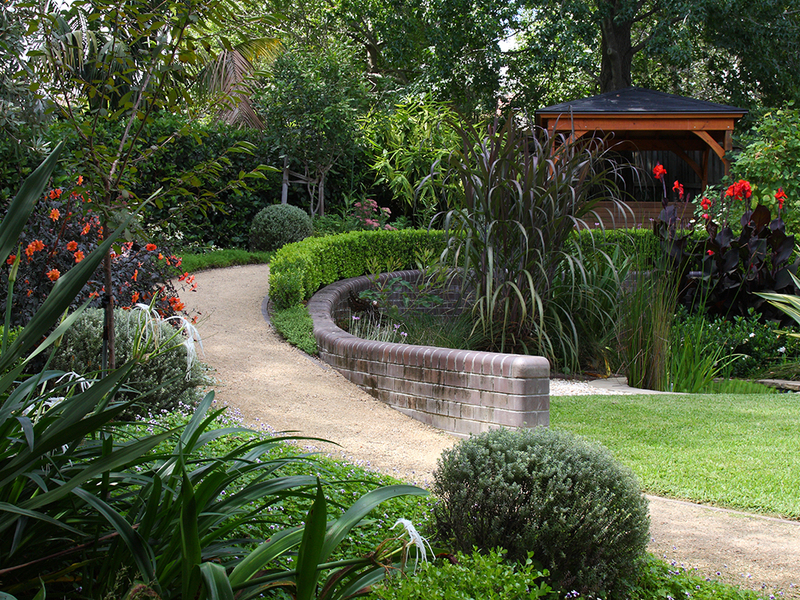 The wall has a double bull nose capping and is raked and curved to meet the existing contours. 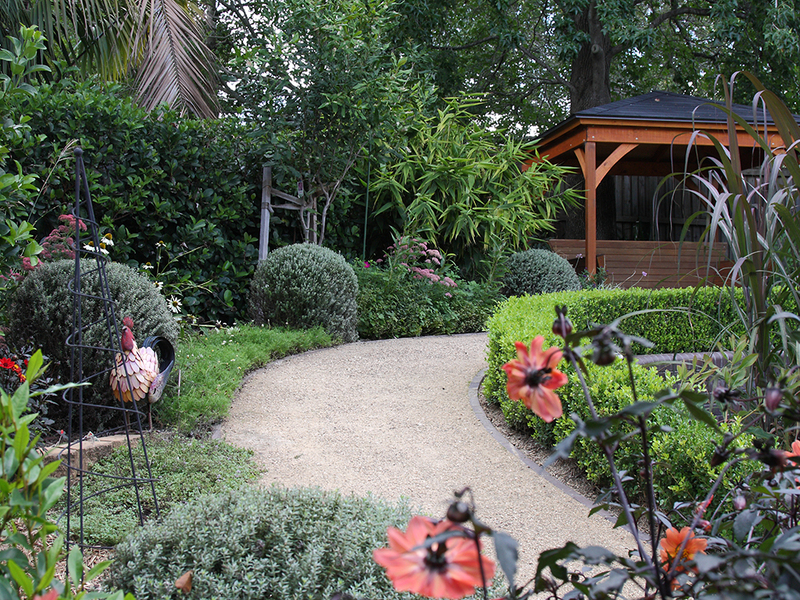 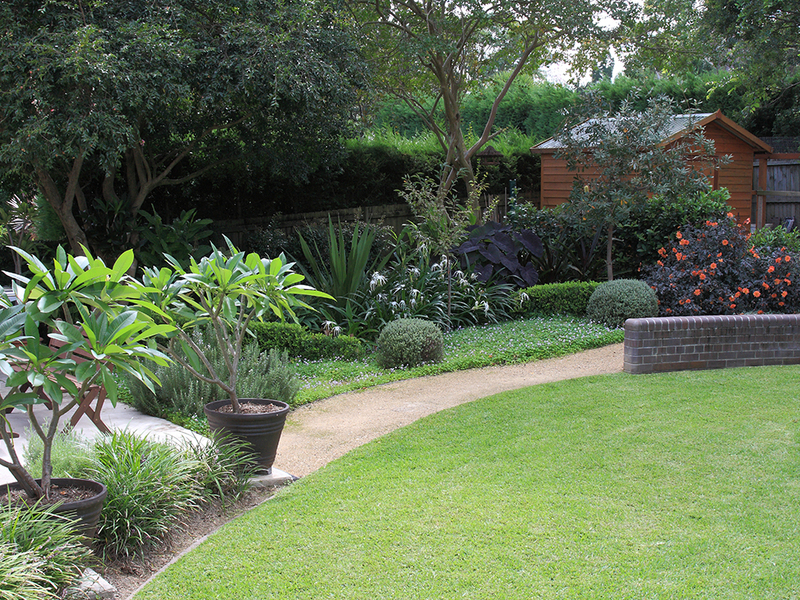 The garden was intended to be functional, productive, provide habitat for a range of native fauna, relaxation and recreation for the owners. 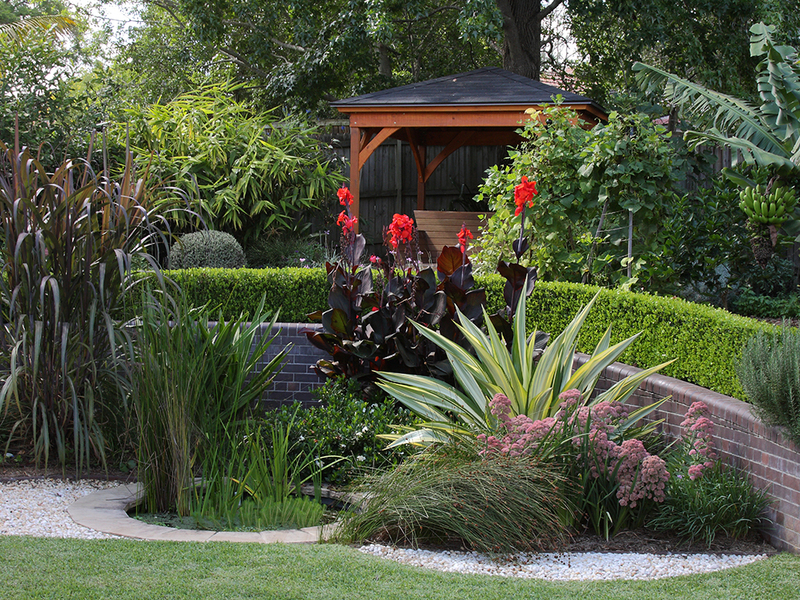 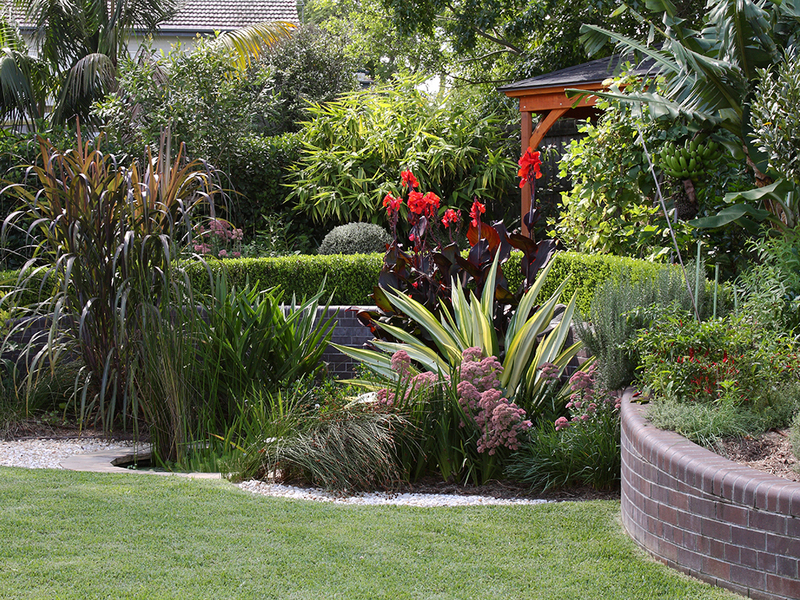 Features of this sustainable landscape include the hardwood bespoke day bed, circular frog pond, custom made and sourced special dry pressed bricks, and the sustainable, productive and elegant plantscaping.